Reminiscence therapy is a widely used method of intervention in dementia care. The process involves conducting meaningful conversations within a group of people or two individuals to improve cognitive well-being. Family members highly recommend Reminiscence Therapy because it helps bridge communication between them and the person with dementia. The inter-generation interaction between members of the family shows positive improvements to the moods of the person with dementia their carers and relatives. Reminiscing is the process of remembering people, events and experiences from the past. Reminiscence can either be volitional or non-volitional. Volitional Reminiscence means being able to trigger memories at will. Non-volitional Reminiscence, on the other hand, happens when a person recalls memories due to a particular trigger for unknown reasons. These can either be actions, events, smell or imagery. Reminiscing provides great joy, clarity and peace of mind to everyone involved in the care of a person with dementia. However, as we know, not all memories are happy. Sad or painful memories may cause anxiety, apprehension and cause harmful health conditions to the person. This is why skilled therapists are trained to separate positive and negative triggers to minimise unintentional panic attacks and other adverse outcomes. Family members are encouraged to conduct reminiscence therapy on their own but in case of triggering bad memories or should there be a need to avoid bad memories, engaging a skilled therapist is advised. Types of Reminiscence Therapy vary depending on the level of engagement between the person with dementia, carers and their support group. Intrapersonal Reminiscence Therapy – Usually conducted individually with a more cognitive approach. Persons who undergo this kind of treatment set their preferred pace in recounting their memories. Interpersonal Reminiscence Therapy – Sharing memories with a group through meaningful conversations. This method provides encouragement in helping the person recall memories in vivid detail. Instrumental Reminiscence Therapy – Enables persons with dementia to remember previous coping methods and strategies such as ways on how to deal with certain difficult situations, or how they were able to achieve past goals of their own and those whom they have helped to meet their goals. Success is a great topic of conversation as it lifts the person’s mood and sense of self-worth. This enables carers to help individuals who have lost their ability to do they were previously good at or those who are socially isolated bounce back by finding other goals and by helping them adapt to their current environment. Improving Communication – A study published by the University of York Centre for Reviews and Dissemination showed that Reminiscence therapy conducted in several trial groups of 225 patients with dementia had shown significant improvements in communication, depression, cognition and positive moods. The positive results are effects of having detailed, engaging and positive conversations. Instil confidence – A recent study conducted with a total of 62 participants with Alzheimer’s disease, found an increase in self-confidence and a decrease of loneliness in participants who live in residential facilities. The researchers concluded that the positive results are due to regular weekly reminiscence therapy program, thorough preparation for each session, sharing of emotions and sense of belonging to a group of like-minded individuals with an opportunity for socialisation. Reduce Apathy – Apathy or lack of interest, concern and enthusiasm is a known symptom of dementia. According to Alzheimer Society Australia, apathy refers to the absence of interest in or concern for emotional, social, spiritual, philosophical or physical aspects of life. A person who simply says “I don’t care” is NOT apathy, it may be because of their attitude, but meanwhile, to a person with Alzheimer’s disease, dementia and other cognitive conditions, the context is more complicated.Apathy is caused by damage to the frontal lobe, the area of the brain that makes planning, judgement, and insight possible. To a person with dementia, the lack of awareness of their environment could also be a factor. Bring the whole family – Sharing inter-generational wisdom, stories or experiences helps bring persons with dementia and younger members of the family together. Having a support system close by also helps just in case the person recalls a painful memory for emotional support. Use Sensory Aids – Take out old family albums and share stories of each captured moment. Play a favourite song or a song that throws back to their younger era. Another useful sensory aid triggers the sense of touch. Let them hold treasured possessions or something that is made of the same material as something that they used to have from the past. The art of questioning – Engage your relative by asking them questions about past events, people that they used to know, places where they have been, what they thought of a famous band that was popular during their childhood. One thing to remember is to ask with care and caution to avoid irritating the person with dementia as it may trigger tantrums and other negative behaviour. Make it fun – Liven up the therapy session. In fact, do not treat it as a therapy by the book. Encourage the participant to share their thoughts and make them feel that their thoughts, opinions and ideas on a topic of discussion is important and matters to you. Do not respond negatively and approach the session with an open mind. Include those who are not physically present – Geographical distances make people feel disconnected and isolated from their family and friends. With modern technology, it is possible to conduct reminiscence therapy with those who are unable to travel across extended distances. It is important to note that should negative memories be triggered and caused adverse effects, consider changing the memory triggers towards more happy ones, or stop the therapy and consult a medical professional. 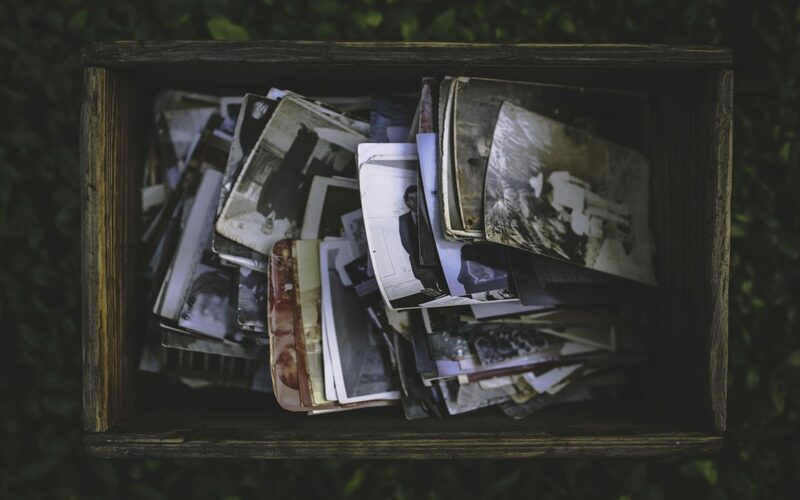 As our population age increases, and the prevalence of dementia increases families are becoming more and more involved in conducting vital reminiscing therapy with their persons with dementia on a daily basis. CareVision memory albums encourage family members to capture memories on the go and compile memory questions and answers to trigger discussion around those questions in future. For more information on the CareVision Family platform or CareVision Enterprise platform give us a call 1300 324 070.